If you are suffering from Diabetes and looking for a more natural, low cost way to reduce the symptoms and complications of diabetes, ayurvedic medicine is something to consider. Ayurvedic medicine was developed over 4000 years ago as an Indian holistic treatment. This unique and natural type of healthcare strives to establish and maintain internal balance of the body instead of just focusing on singular symptoms. By bringing balance to the whole body, ayurvedic medicine fine-tunes your regimen, coaching you to make better choices for you and your diabetes. Many studies have found a positive link between ayurvedic medicine and the reduction of diabetic symptoms. For those looking to expand their options, Ayurvedic medicine may provide a more natural way to treat diabetes. The effectiveness of Ayurvedic medicine depends on the type of diabetes. Type 2 diabetes may be reversible with diet, exercise and adding medicinal ayurvedic herbs. Type 1 diabetes (insulin dependent) adding ayurvedic herbs cannot cure but can help with managing the condition. 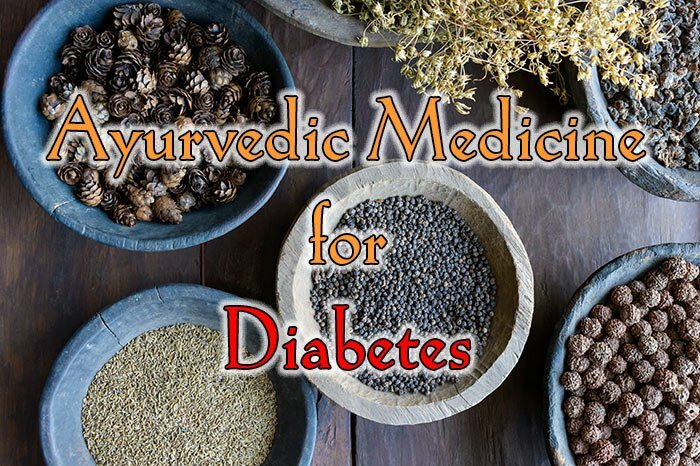 Ayurvedic medicine takes a multi-pronged approach to treating the symptoms of diabetes. The first step, according to Ayurveda is to drastically modify the diet. During this process, sugars are eliminated and simple carbohydrates are substituted with complex carbohydrates. During the cleansing portion of this treatment (referred to as panchkarma), toxins are purged and the body is cleansed. Fasting, massages, saunas, and herbal therapy employ this form of detoxification. This step heals both the mind and body, restores balance, and encourages wellbeing while strengthening the immune system. Finally, yoga therapy relaxes the body and mind. This practices stimulates the body via exercise, leaving you feel relaxed and refreshed. In Ayurveda, diabetes mellitus is referred to as Madhumeha. Due to high blood sugar’s negative effect on nearly every organ in the body, Ayurveda refers to diabetes as maharoga, which translates to the major disease. Ayurvedic medicine believes that herbs can lower the blood glucose levels by regulating absorption of sugars, metabolism of carbohydrates, encouraging sensitivity to insulin, and promoting the stimulation of insulin secretion. The use of herbs is widely regarded in Ayurvedic medicine for treating diabetes. These herbs have shown to regulate glucose levels and to help keep diabetes in check. Mulberry leaves are recommended due to their ability to lower the blood sugar. Being an antioxidant, mulberry leaves shield the body against oxidative stress. This herb may also treat lipid abnormalities in diabetics as well as protect from the development of cataracts. For those suffering from diabetes, fenugreek helps protect against insulin resistance. A recent study found that regularly consuming fenugreek extract greatly reduced blood sugar levels within two months. This effect on glucose levels can be attributed to a compound in fenugreek seeds called diosgenin. This popular Ayurvedic diabetes treatment promotes insulin secretion. Bitter gourd increases insulin secretion by encouraging the function of the beta cells of the pancreas. It is believed that this herbal treatment may also help reverse damage already done to the pancreas and may renew pancreatic beta cells. If you want to increase your number of healthy beta pancreatic cells, try ingesting the pulp of the bitter gourd. For centuries, this plant has been widely regarded for its medicinal properties. Studies have shown that the leaves of this medicianl plant greatly reduces blood sugar levels in diabetic rats. The leaves of this plant may also improve beta cell function, therefore increasing insulin secretion. Used alone or in conjunction with other Ayurvedic herbs, the bitter seeds and leaves of the neem plant is beneficial to those suffering from diabetes. The seeds and leaves of this Ayurvedic herb improve glucose tolerance and is particularly beneficial for preventing diabetic nephropathy. The seeds and fruit of the Eugenia Jambolana plant may greatly reduce glucose levels in diabetics. The Ayurvedic treatment also promotes the secretion of insulin and also protects the kidneys from dysfunction. Another benefit is that diabetics that consume Eugenic Jambolana plant extract notice that their wounds heal at a more rapid rate. The word gurmar in Ayurvedic medicine means the sugar crusher. This sugar crusher has shown to be a major hypoglycemic component in Ayurvedic medicine. Studies have found the gurmar effectively reduces blood sugar levels. The leaves of gurmar also help stimulate the regeneration of the residual pancreatic beta cells. This helps reduce the diabetic sufferers dependence on pricey insulin medications. This powerful herb is effective in regulating the breakdown of starch, helping to prevent a sudden blood sugar spike after ingesting carbohydrates. This powerhouse anti-diabetic agent protects your vital organs from the ravages of diabetes and high blood sugar levels. Consuming coccinia indica leaves also changes the fatty acid composition in diabetics. Lastly, consuming coccinia indica leaves increases the plasma vitamin C level and inhibits oxidant agents. This helps prevent damage from oxidative stress from occurring. For centuries, the heartwood, leaves, and flowers of this plant has been revered for its medicinal properties. Those suffering from diabetes type 2; the extract of this plant can help control your blood sugar. According to ancient Ayurvedic medicine, the heartwood of this tree works as an astringent, reducing inflammation. The heartwood of this tree is also believed to have properties to help regenerate and renew beta pancreas cells. For centuries the extract of ficus bengalensis has been prescribed in the treatment of diabetes. This Ayurvedic herb has an anti-diabetic effect by significantly lowering blood sugar. Studies have found that this treatment also increases the secretion of insulin, making it an effective supplement in the fight against diabetes. Shilajeet is a natural way to help control blood sugar levels and maintain diabetes symptoms. This organic substance is an extract that oozes from mountainous rocks during extremely high temperatures. This compound contains Fulvic acid, which increases the production of pancreatic beta cells, but also helps prevent oxidative damage. Herbalists believe that not only does this blackish-brown substance help keep diabetes in check, but it also helps to improve your overall health. This big leaf is not only a spice in Indian cooking, but it is also a wonderful anti-diabetic agent. This herb helps keep diabetes in control by effectively lowering blood sugar levels. This treatment is easy to take, being consumed in its original leaf form or taken as a powder. This vegetable is a small green ball and is very popular with Ayurvedic diabetes patients. By consuming this vegetable you can help maintain your diabetes by effectively lowering your blood sugar levels. This treatment can be taken in powder or pickle form. Those suffering from diabetic neuropathy may find some relief with this Ayurvedic treatment. By taking this treatment, people suffering from diabetes can maintain their glucose levels and reduce the body’s absorption of sugar from simple carbohydrates. Be sure to talk with your physician before taking any home remedies. These remedies are meant to be a supplement and not as a replacement for traditional medicine. That is a long list! What should I try? 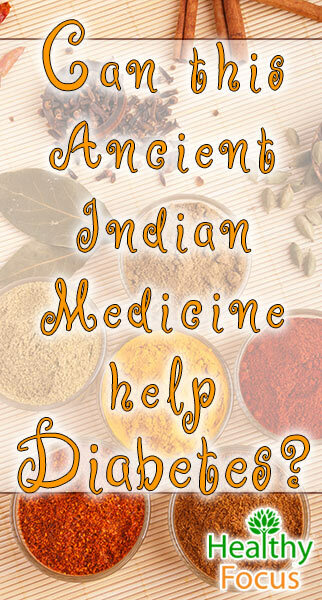 There are a lot of Ayurvedic Herbs you can use to help with Diabetes and related symptoms. Below we try and simplify and cut down the list to a few with specific extra features (other than just lowering blood sugar. Neem and Guduchi help with Neuropathy related pain. Gurmar can help regenerate the pancreas and Marus Alba fights stress and helps protect against cataracts. Any of these herbs will help with blood sugar and Neem/Morus Alba may be the most powerful just for that purpose.